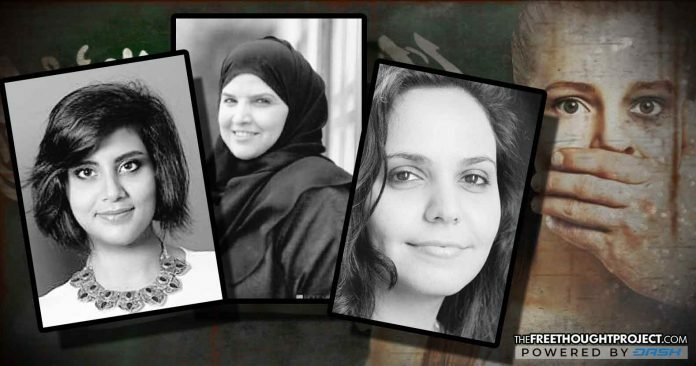 One month before women are legally allowed to drive in Saudi Arabia, the kingdom has mysteriously arrested several activists who supported the movement. When Saudi Arabia announced last year that 2018 would be the year women were finally allowed to drive, the United States treated its close ally as if it was setting the standard for women’s rights. However, now that several of the women who were at the forefront of the movement have been mysteriously arrested before the new law goes into effect, the U.S. has refused to call out the Saudi government. While the ban on women driving is set to be lifted next month, a report from Reuters revealed that seven activists who supported the legal changes that are set to take place were mysteriously arrested by the Saudi government last week. Al-Sharif called to the government’s response to the arrests as “vague and alarming, much like the arrests themselves,” and noted that the mysterious charges against the activists have created fear for many women like herself who have been vocal in their opposition of the kingdom’s strict male guardianship laws, which ban women from making major decisions without the consent of a husband or male relative. While the Saudi government has attempted to claim that the activists were “forming a cell” that posed a threat to state security, Amnesty International criticized the lack of transparency surrounding the sudden arrests. Although Saudi Arabia seemed to be making progress with the announcement that it would finally allow women to drive cars, it appears that the news was mainly meant for political purposes to create positive PR for the country, as it is still persecuting activists who dare to question the government. Unfortunately, this treatment is not uncommon. As The Free Thought Project has reported, last year Munir Al Adam, a 23-year-old deaf and blind man, was sentenced to death after he was convicted of peacefully protesting during a wave of anti-government protests in 2012. While he initially confessed to the accusations, human rights advocates insisted that he was tortured, his disabilities were ignored, and his conviction was based solely on the confession he made under duress. Another man sentenced to execution was Mujtaba al-Sweikat, who was also charged with protesting in 2012 when he was 17 years old. He was arrested as he was boarding a plane to fly to the U.S. to attend Western Michigan University. Manal al-Sharif also noted that the recent detentions are the latest in a string of vague arrests targeting social media personalities, college professors, businessmen, and officials since Crown Prince Mohammed bin Salman came to power last year. The United States’ response is ironic, given the fact that if another country in the Middle East that was not considered a close ally—such as Syria or Iran—was arresting activists for supporting basic women’s rights, the U.S. would be calling for a full-scale invasion to bring that country the “freedom and democracy” it clearly needed, and to overthrow the dictator who was oppressing his people. However, because Saudi Arabia is a friend of the United States—and it is partnered in the “single largest arms deal in U.S. history,” which guarantees the kingdom $350 billion in weapons over the next 10 years—the U.S. has apparently chosen to turn a blind eye to egregious human rights violations committed by the Saudi government.